Event Entertainment Acts & Entertainers for Hire Sydney. Lovegrove. ENTERTAINERS FOR HIRE AND SYDNEY EVENT ENTERTAINMENT SOLUTIONS. Professional entertainers are the foundation of any event. Whether it’s a corporate event, a fundraiser or a wedding, the entertainment brings life to the celebration. Professionals are essential to hire as they make the stressful job of event organising easier and take care of the entertainment component, which is so important to an events success. So, when should you hire professional event entertainers? Here are a few scenarios. Weddings, launches, awards nights, fundraisers or parties with formal themes require professionals who turn events into memorable occasions. 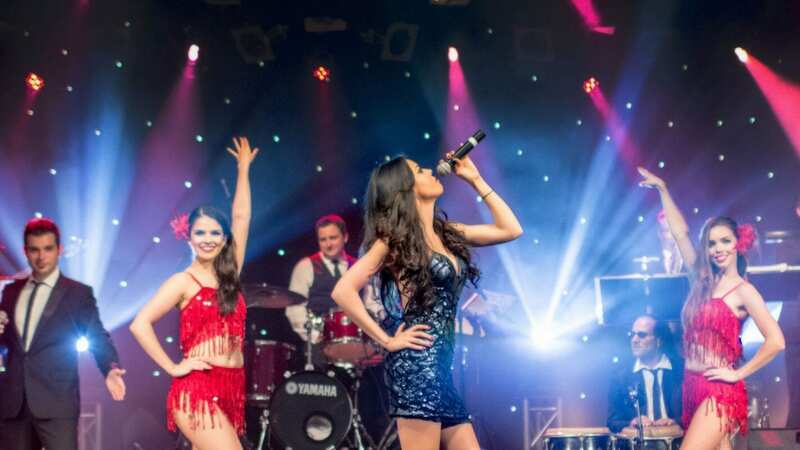 Whether it’s a wedding entertainment band for weddings, or a top class opera or music theatre themed act, professional entertainers know how to handle the crowd and complement the theme of the event. With highly booked acts being more affordable then ever (especially non-celebrity), you get the ease of knowing that your guests are going to be well entertained and they’ll wonder how you found them. Major events such as product launches, conferences, or even anniversaries often require grand corporate event entertainment. When it comes to handling crowds in dresses and tuxedos, nobody can give quality amusement other than professional entertainers who understand what the crowd likes. This is where opera, classical, cirque and music theatre themed shows offer so much value. Getting people to come to an event can be pretty stressful. A lot of times, event managers hire celebrities hoping that the fame of their guests will help pull an audience for them. It’s a classic strategy, but it’s not necessary. Especially if your event is about a certain cause or movement, hiring celebrities might just divert the audiences’ attention from the cause to that person(s). If you’re looking for a way to boost attendance in your event, persuade through marketing content, and hiring professional entertainers. Generally, once people see the benefits of the event to them and know that they’ll have a great time, they’re very much likely to sign themselves up on the guest list. We’ve all been in a situation where we want to impress a person or two. And so, you go to great lengths just to make sure everything is perfect. If you want to impress a client, person at a party, fundraiser attendees, professional entertainment and reputable acts will do the trick for you. Whether you’re aiming for pure musical theatre entertainment, or a mix with other kinds of performances, experienced entertainers should help you create a memorable event for the guests. As an event manager, you take the reins in making sure that the event turns out spectacular. Entertainment may not be all there is in an event but it is an important chunk that can turn a fun occasion into a memorable one. Darryl Lovegrove, Director of Sydney entertainment agency, Lovegrove Entertainment likes to say: “at the end of the day, no one will remember the food, or the wine, or the table setting, but they will remember the entertainment”. So if you want a perfect event, you might as well go all out. Fill your guests’ head with inspiration, their stomachs full with delicious dinner, and their faces and souls happy with pure enjoyment. Contact Lovegrove Entertainment for all your Sydney event entertainment solutions. We’re Sydney’s premier entertainment agency offer a wide range of event entertainers for hire. Our professional performers travel to all Australian capital cities including Sydney, Newcastle, Melbourne, Perth, Brisbane, Gold Coast, Adelaide, Canberra, Darwin, Tasmania and regional centres. Additionally professional MC services by entertainment industry veteran, Darryl Lovegrove, will ensure your guests will be raving about your event for months to come.